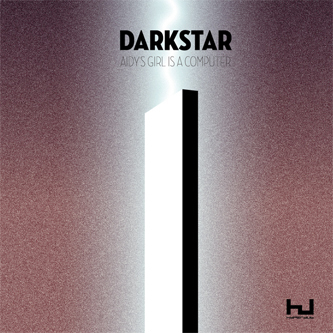 Forever keeping listeners on their proverbial toes, the hugely anticipated Darkstar cut 'Aidy's Girl Is A Computer' comes backed with a remarkably deep remix from Detroit house prodigy Kyle Hall. If you've not come across 'Aidy's Girl...' by now, you probably need to stay in a bit more and check the internet, innit!? Darkstar's finest moment has become a bit of an anthem over the last 12 months or so, becoming a staple in the sets of Kode 9's favourite DJ, Oneman, Kode himself and just about every other dubstep DJ with a copy to rinse. The track itself revolves around a sublime robo-tropical lead motif and swinging post-garage rhythms that must surely rank among the most recognisable of 2009, neatly signifying the meeting point of garage, dubstep and popified electronics with an anthemic finish. Making this package even more essential is Kyle Hall's remix on the flip, unexpectedly delivering a fathoms-deep Detroit House workout with body rolling 4/4s, head-meddling edits reminding of Actress and signs of very promising things to come. Essential 12"!